Poll your friends, family, or classmates to see which kind of entertainment they prefer the most! 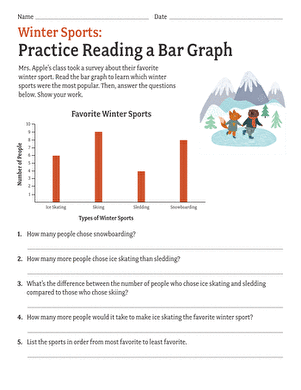 This polling exercise is a fun way for kids to practise collecting data for graphing. 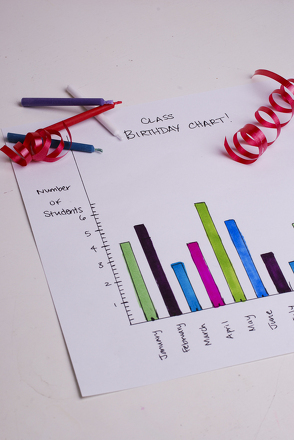 Your student will use the chart to create a bar graph with his results. Kids will read information on a line graph and plot some data as well. Glossary: What Does the Graph Show? Vocabulary Cards: What Does the Graph Show? Use these vocabulary cards with the EL Support Lesson: What Does the Graph Show? 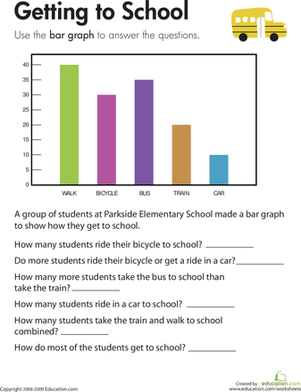 Your child will practise reading and interpreting a bar graph and using its data to answer a set of questions in this year 4 maths worksheet. 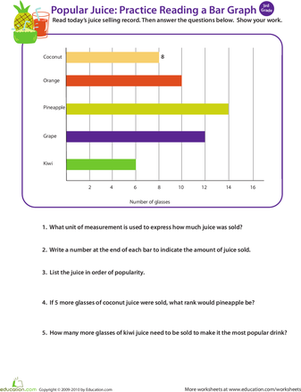 In this year 4 maths worksheet, your child will practise reading a bar graph about juice and interpreting its information to answer a set of questions.